We have Associate Coaches in the USA, Australia, the Middle East, Thailand, China and Hong Kong. While Helen Lee, our Founder & Principal Coach still does most of the personal or life coaching herself, she is eager to train and select Associate Life Coaches to support her in bringing her wealth of wisdom and powerful methodology to the world. She is therefore very pleased to have appointed Marina Paganucci in the USA and Mark Allison in Europe and Thailand as her first Associate Coaches in personal or life coaching. Before they can be appointed our Associate Life Coaches, our coach trainees must first demonstrate that they can be exemplary coaches by being devoted to their own transformation and evolvement as exemplary human beings and leaders themselves. Helen does not expect perfection. She always says that she herself is “work in progress” like everyone else but she also insists that the commitment to go to higher levels must be embodied by those who wish to be part of her team. With a professional background in human rights research and advocacy, Mark Allison created his coaching practice to work with a global clientele who feel drawn to make a positive difference in the world. Mark trained as a coach with both Lee Heiss Coaching and the Coaching Academy in London. He facilitates group seminars and retreats as well as individual sessions in person and on Skype. His clients come from all walks of life, but many work for social change in governmental, charity or humanitarian organizations. While it may align with their values, this work often generates a high level of stress which compromises balance, wellbeing and enjoyment of life. Through his own experience and that of his clients, Mark has come to realize that personal transformation is a fundamental condition for positive global change. He is fascinated by recent scientific research, which supports a more ‘inside-out’ view of life where our inner state to a large extent determines our external experience. He also likes the integrated approach that harnesses the intuitive power of the heart and the analytical skills of the brain, which helps uncover our deepest desires and make them a reality. He therefore embraces The Path of The Invincible™, as created by Helen Lee and taught to him at her workshops and sessions, and further extended into her Coach Training program, all of which are based on an integrative and inside-out approach. 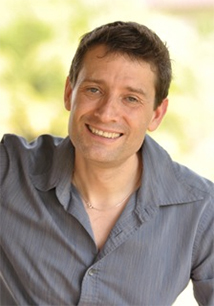 UK-born, Mark has lived and worked in Asia for 10 years as a student, English teacher, researcher, restaurant owner, healer and coach. Fluent in Chinese, Japanese, French and German, Mark particularly enjoys coaching non-native speakers of English, helping them achieve greater English fluency on their journey of personal transformation. Marina Paganucci is CEO of 360digitaltalent, an executive search firm based in Los Angeles and focused on digital media talent. She has been recruiting executives globally for 25 years now, and has lived and worked in the UK, Middle East, Singapore and now in the US since 2008. Marina has worked for major international recruitment companies like Hudson Global and Adecco, and has been a corporate leadership trainer and career coach. She has always been interested in people development and this led her to attend the Lee Heiss Coach Training program with Helen Lee, after having done Helen’s personal mastery programs back in 2001. Since then, Marina has consciously utilized what she learnt, coupled with her own coaching style, when she works with her candidates and clients. Her coaching approach is explorative, inspiring, intuitive and warm. Marina brings people to their truth and lets them arrive at their own knowing, which is very much the hallmark of Lee Heiss Coaching’s special brand of ontological coaching. Her goal is to develop and deliver transformational coaching programs for kids and teenagers. She lives in Los Angeles with her husband, teenage daughter and two rescue dogs. She is also on the executive board of a newly formed charity in LA called Ukares. Find out more about our Personal Mastery Programs and Online Programs. All our Associate Executive Coaches and Facilitators are higly experienced and qualified. They are also personally handpicked by Helen Lee and mentored by her, as they support clients through each assignment so that high standards are always maintained and surpassed even. 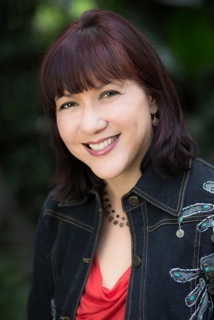 As part of the Lee Heiss Coaching team, they embrace our organization’s special brand of ontological coaching and leadership development, which allows the leader in everyone to emerge “through spontaneous and intuitive natural self-expression.” In the process of helping clients to achieve both the organizations’ and their own desired results, they applyour Internal Self Management tool to get them to build a strong foundation first by addressing “Who They Are” before “What They Do”. We have coaches and facilitators in Sydney, Beijing, Shanghai, Hong Kong, Abu Dhabi and Columbus, Ohio. We provide the full spectrum of our corporate and executive coaching and facilitation services in these cities and Singapore, and anywhere else in Asia Pacific and some parts of the United States. Contact us and we will match your needs with the right coach, facilitator or presenter/public speaker. Find out more about our Corporate & Executive Coaching Programs.